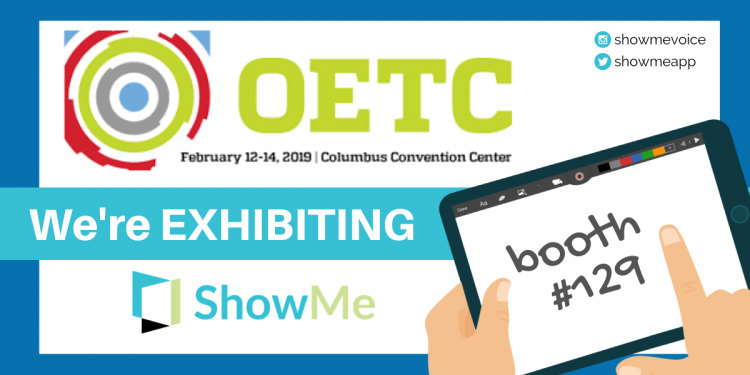 We will be exhibiting at this years OETC in Columbus, why don’t you come and see us? The Ohio Educational Technology Conference (OETC) is the premier P-20 state educational technology conference. Designed to cultivate partnerships, promote collaboration, deliver high-quality information, and make technology accessible and enjoyable for educators, the OETC is the must-attend conference of the year for P-20 teachers, curriculum and technology coordinators, administrators, higher education professors and administrators, and everyone who is interested in learning more about what’s happening in technology today. For three full days, attendees can learn what’s new and look towards the future by exploring new technologies, trying them out in an interactive atmosphere, and learning how to integrate them into the learning environment. We are excited to tell you all about our app – the possibilities it has, and the advantages it can bring to your classroom. Our team is ready to guide you through all the awesome features ShowMe offers, introduce you to our latest updates and discuss trends in educational technology! Visit the ShowMe team, and let’s talk about the future: of your classroom and education, we can’t wait to meet you! The Exhibition is being held at the Columbus Center from the 12th to the 14th of February. So if you’re attending, make sure you find the time to come and visit our stand and find out more about ShowMe, we will be waiting for you at booth #129!